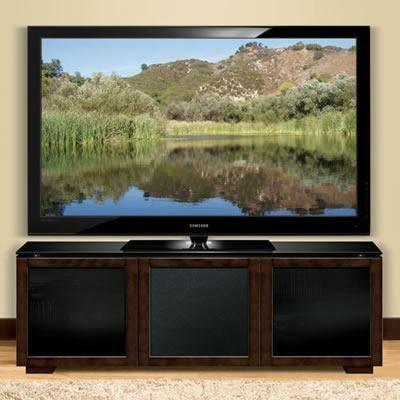 This chic audio/video cabinet will elegantly display most televisions up to 65" or 175 lbs. 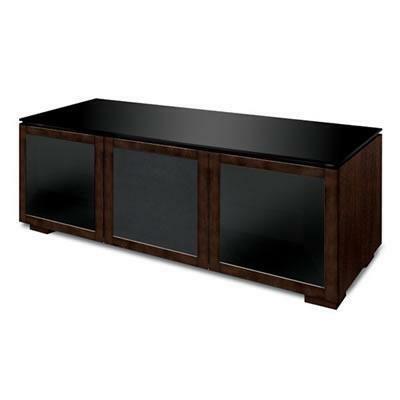 Finely crafted of hardwood solids covered with a hand rubbed Deep European Brown veneer finish, and a thick tempered safety glass top. The dark tinted tempered safety glass doors with adjustable interior shelves will hide up to 6 or more audio/video components while allowing remote control operation. 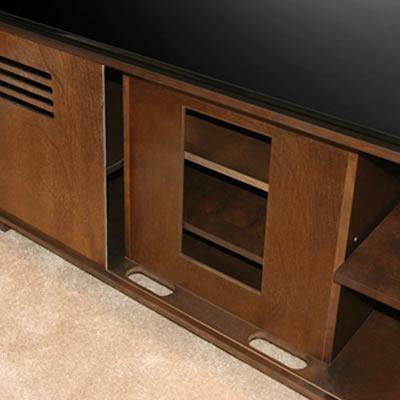 The center section will hide a center channel speaker and offers storage or room for additional components. Rear panels are removable for simple installation and component access. An integrated CMS® Cable Management System helps provide proper air circulation.